Please advise the school office of your current cell phone number and email address to enable us to contact you if your child is unwell. 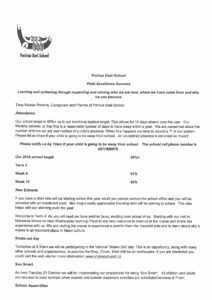 To download the latest Porirua East School Newsletter please CLICK HERE. You will need to Adobe Acrobat Reader program which can be downloaded from the Adobe Website. Proudly powered by WordPress	.